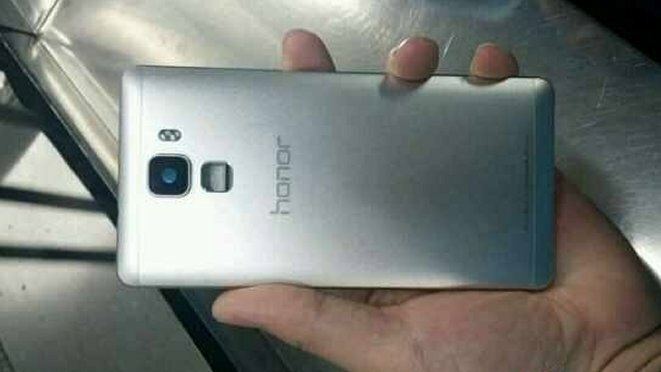 UPDATE ( Highlighted ): Huawei has now Launched its next flagship smartphone i.e Honor 7, Out of the two smartphones Honor 7 and Honor 7 Plus which were expected to be Launched soon. They also recently announced their Flagship Smartphones named P8, P8 Max. The Honor 7 and 7 Plus are the successor to Honor 6 which was launched in April this year. ( Check Huawei Honor 6 in our Top 10 Smartphones List. ). The Honor 7 is equipped with a 64 Bit Octa Core Kirin 935 CPU, 5.2 Inch Full H.D (1920 x 1080 pixels. ) display. It comes with 16 GB internal storage options with 3 GB Ram. The Huawei Honor 7 comes with a Fingerprint Sensor just below the rear camera. ( as you can see in image above). Talking sbout the camera department the Huawei Honor 7 features a 20 MP Camera at the back and a 8 MP Selfie/Front Camera. According to the latest news Huawei has sold its 200,000 Honor 7 units in China within 2 min which is a record number of sales. CPU/GPU 1.5 GHz. 64 Bit. Octa Core HiSilicon Kirin 935. | GPU Mali-T 628 MP4. DISPLAY 5.2 Inch I.P.S LCD 1080 x 1920 pixels. (~423 p.pi pixel density). CAMERA REAR 20 MP. Auto focus. Optical image stabilization. Dual-LED flash. Features. Geo-tagging, touch focus, face detection, panorama. HDR.| FRONT/SELFIE CAMERA 8 MP. NETWORK 2 G / 3 G / 4 G L.T.E support. BATTERY Non-removable Li-Po 3100 m.Ah battery. STORAGE 16 GB Internal. Expandable up to 128 GB (uses SIM 2 slot). FEATURES Great 20 MP Rear Camera with O.I.S. (Optical image stabilization )| Fingerprint Sensor. The Honor 7 Price will be around 322$. Its Price in India will be 20000 Rupees. It is rumored to be Launched on 30th June. ( This is not the official Price and Launch date ). 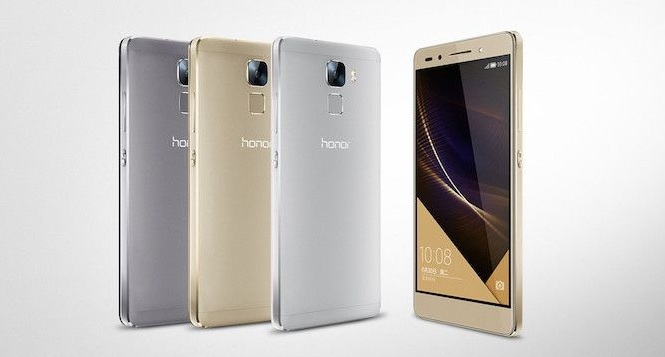 UPDATE: The Huawei Honor 7 is now Launched in China with 3 Variants. I.e The Standard, Dual Sim 4 G with limited network support and The All network compatible model. Standard for 322$ i.e 1,999 Yuan. ( Approx 20,000 Indian Rupees ). Dual Sim 4 G with limited network support for 354$ i.e 2,199 Yuan. ( Approx 22,500 Indian Rupees ). Dual Sim 4 G with All network support for 429$ i.e 2,713 Yuan. ( Approx 27,500 Indian Rupees ). It is also launched in India for a price tag of 22,999 Rupees in India. The Huawei Honor 7 is Now Available for international sales via Oppomart for a price tag of 429$ for a Dual SIM 4 G Model. The Huawei Honor 7 Plus is expected to be equipped with a 5.5 Inch Quad H.D (2560 x 1440 pixels) Display. 16 MP Rear and 13 MP Selfie Camera, 3/4 GB Ram. It is also expected to be equipped with a Fingerprint Sensor at the back just below the rear camera. ( see above image). Honor 7 Plus Specs. ( Rumored ). CPU/GPU Octa Core HiSilicon Kirin 940. | GPU Mali-T860 MP4. DISPLAY 5.5 Inch Quad H.D 2560 x 1440 pixels. (~534 p.p.i pixel density). CAMERA REAR 16 MP. | FRONT/SELFIE CAMERA 13 MP. STORAGE No Info. ( To be updated soon). FEATURES Fingerprint Sensor.| Huge 4000 mah Battery. Honor 7 Plus Price and Launch. There is No news on its price and launch till now. But we will keep you updated.